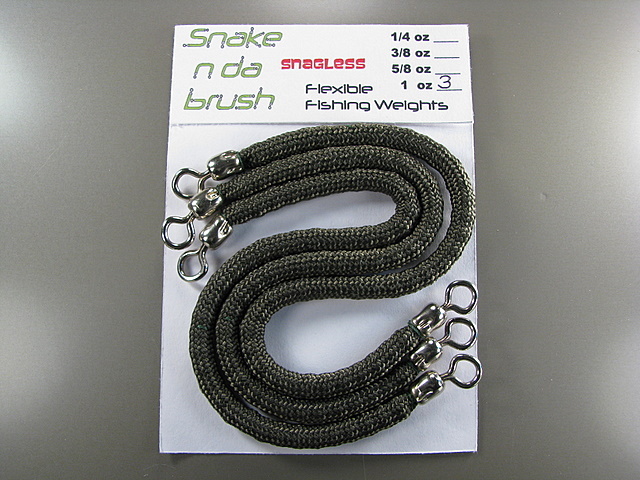 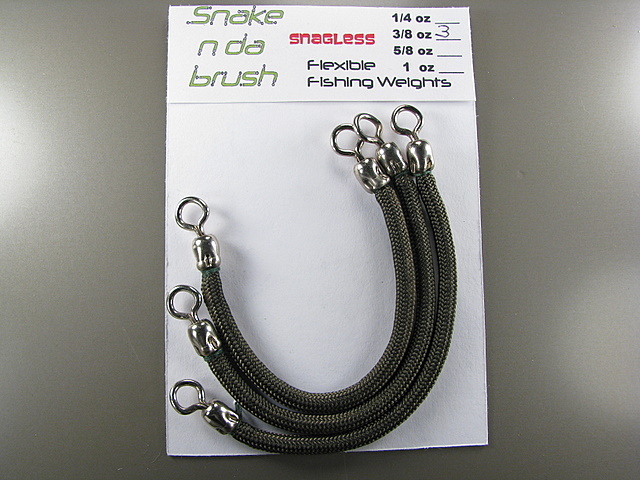 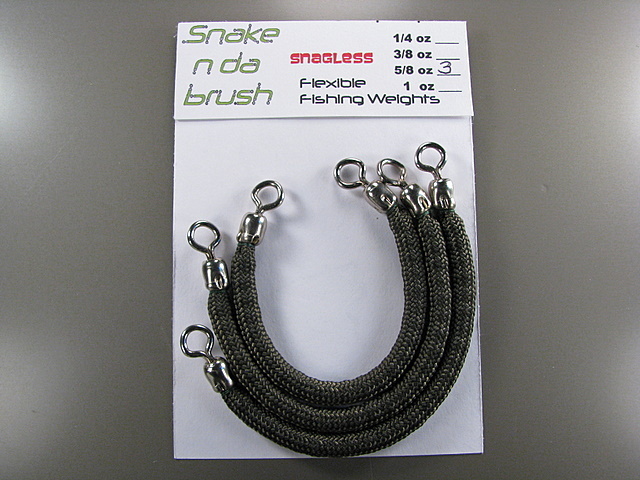 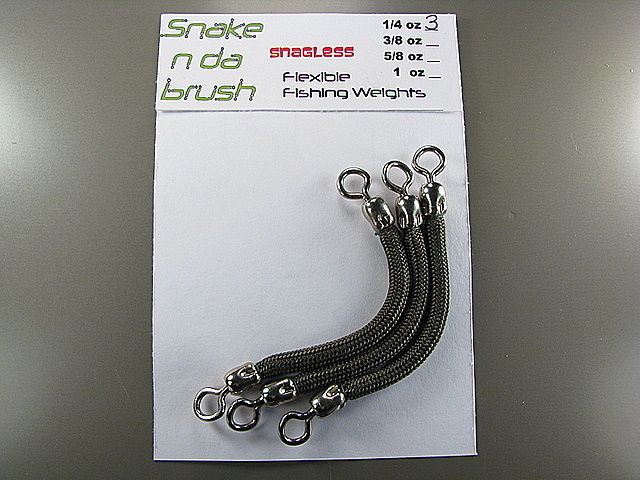 Snake n da brush - Podunk (po dungk) A small isolated town, region, or place that is regarded as unimportant. . . .
are streamlined and flexible (with a swivel at both ends) allowing the weight superior mobility in brushy or hangy situations where other fishing weights would tend to become entangled causing loss of tackle and valuable fishing time.